Wash, dry, and dice the cucumbers. Wash, dry, and halve the tomatoes. Dice the avocado. 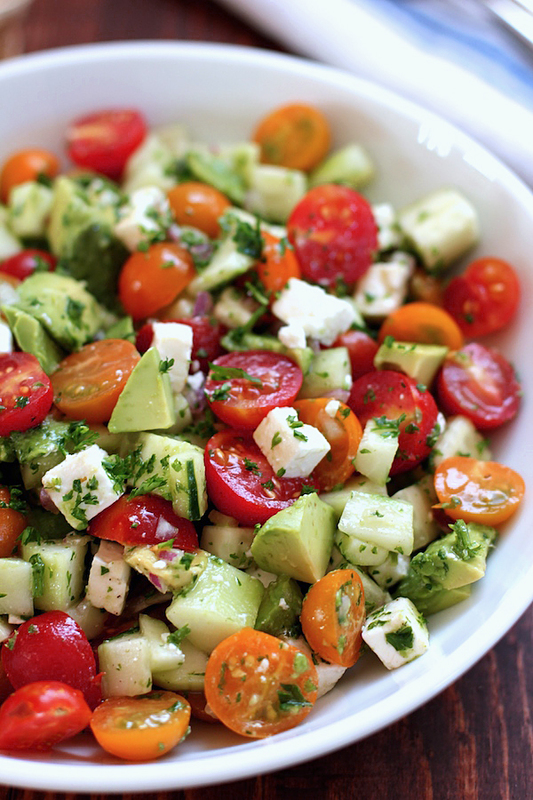 Place the cucumbers, tomatoes, and avocado in a bowl. Add sliced basil and Feta. Pour on the oil, vinegar, chopped garlic, and salt and pepper. Mix thoroughly. FEEL THE LOVE RIGHT AWAY!